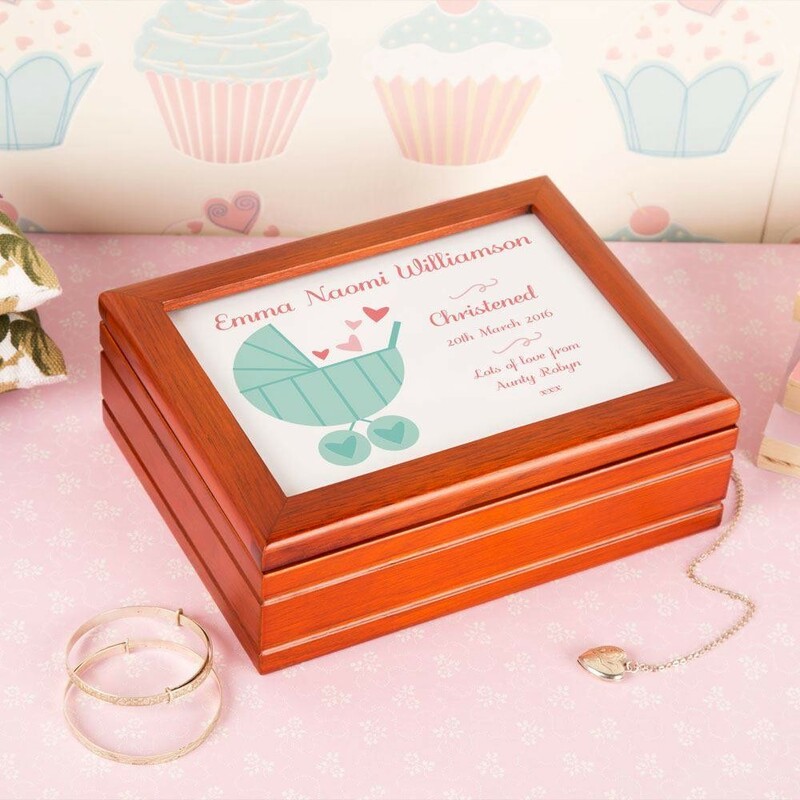 This beautiful keepsake wooden box makes the perfect gift to give a baby celebrating their Christening or any other special occasion. The white metal on top is sublimated in house. It includes a pretty design of a teal coloured pram and pink hearts. It can be personalised with a name, special date and a short message of your choice. 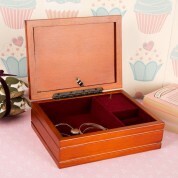 The jewellery box can be wound up to play a pretty melody and includes a luxurious velvet lining, suitable for storing all baby's keepsakes and precious mementos. It will suit the décor of any bedroom or nursery.